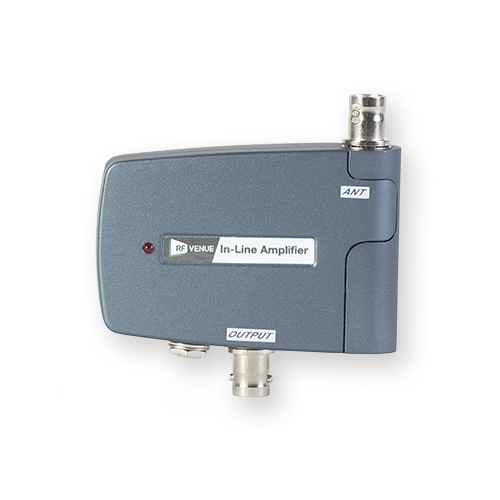 This in-line amplifier is designed to compensate for signal loss on long coax runs. 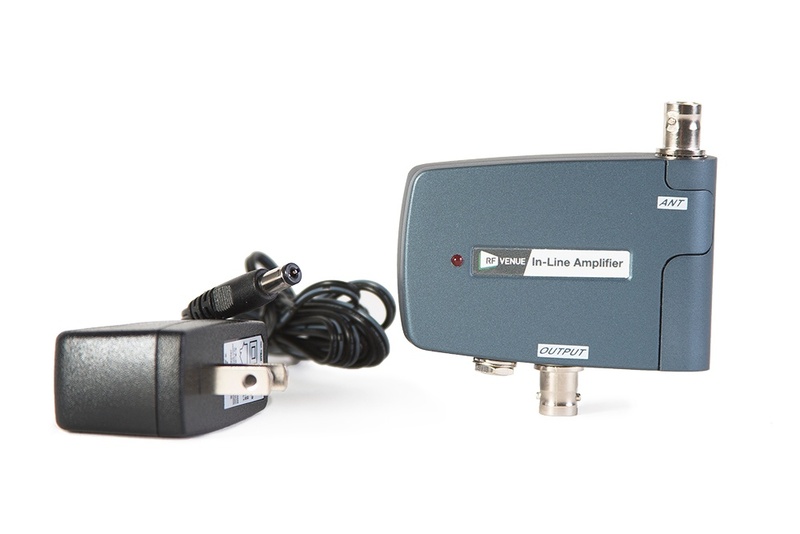 One in-line amplifier can compensate 10dB of cable attenuation which is about 20 meters of RG-58 cable. Can be powered by power output from an antenna distributor/receiver or DC adapter (+12V/0.5A). The red light indicates the unit is getting power. Up to two can be cascaded. A BNC female to BNC female adapter or coax jumper is required for cascade (not included). Two are required for diversity applications. A Wall mount adapter is included.